At the height of his literary career in the 1920s and 1930s, the late Viennese author Stefan Zweig was one of the most famous writers in the world. Then, fade to black. He's since disappeared – wiped clean off the cultural zeitgeist leaving behind little but his vastly developed oeuvre of novellas, novels and autobiographies. 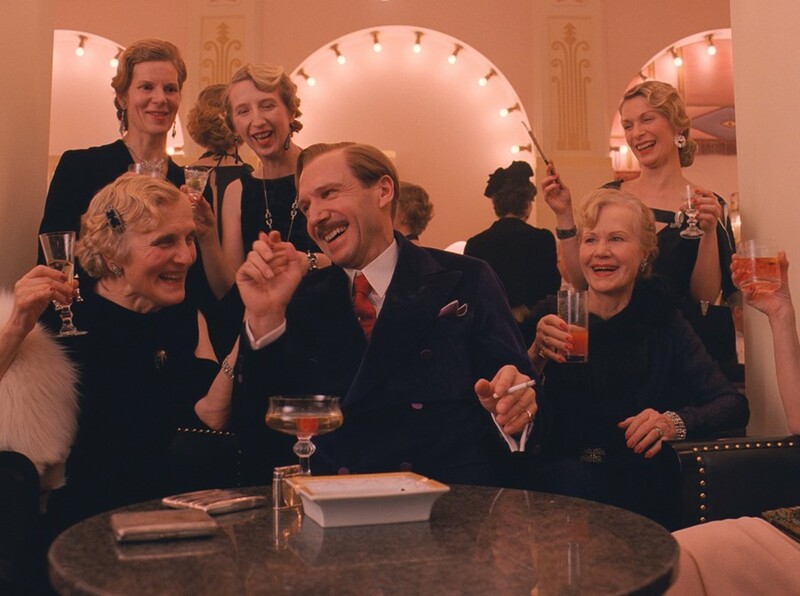 Although Zweig's fame has dwindled, his works have since served their purpose as unlikely inspiration for the characters and plot of Wes Anderson's The Grand Budapest Hotel. In The Society of the Crossed Keys, Wes Anderson selects his favourite writings from the great Austrian author. Below is an exclusive extract of the opening interview with Wes Anderson and Zweig biographer George Prochnik. George Prochnik: I want to cycle back to his fictions. When you said that Beware of Pity was really your introduction to Zweig—why did you find this work to be so compelling? Wes Anderson: The book takes a form that we sort of overtly lifted for our movie, and I particularly loved the opening scene. There’s a wonderful brief introduction from the author, and then it goes back some years, and we see the author who’s visiting a restaurant that he thought would have fallen out of fashion a long time ago, outside Vienna. But then he’s sort of surprised that he’s still seeing people he knows there and this figure—this guy comes over to him, a guy he knows vaguely. (This author character is well-known, he’s famous like Zweig.) And the guy who comes over to him he describes as the sort of person who knows everybody, at least a bit, and bounces around among people and table hops and name drops. It’s a very familiar sort of person today. You know immediately you can connect him to a few people who you might know and even like, but who do this. George Prochnik: I love the phrase that Zweig has for this type—which translates literally from the German as “Also-present” (“hanger-on” in translation). WA: And the author character has this moment with him. He’s a little unhappy to see him—he wanted to be alone—but at the same time it’s not so bad, and now he has somebody to talk to. And then that “Also-present” figure sees a man across the room our author does not recognise, but then he tell him the man’s name, and the author knows exactly who he’s talking about: he’s a war hero. And then the author and the war hero reconnect by chance at a party the next day, and this time they actually meet. They talk about that guy who was bouncing around the restaurant, and they click. That whole set up to me is the best. First, it’s happening in a setting that is very interesting to me—this Vienna that is unfamiliar and exotic, and at the same time there’s so much that I do feel connected to: that it could be happening in some place like Manhattan today. There are the same kinds of people and dynamics we know from our world. But also details of a universe most of us have no experience of, and that’s great to discover. I remember being gripped by Zweig’s description of the cavalry unit that the lead character is a part of. There’s great detail about that whole way of life. But then we’re pulled into this story very, very quickly. We plunge into an account of what happens to him with a family that he makes a kind of social success with, and who he then gets drawn into a strange, complicated, disastrous relationship with. 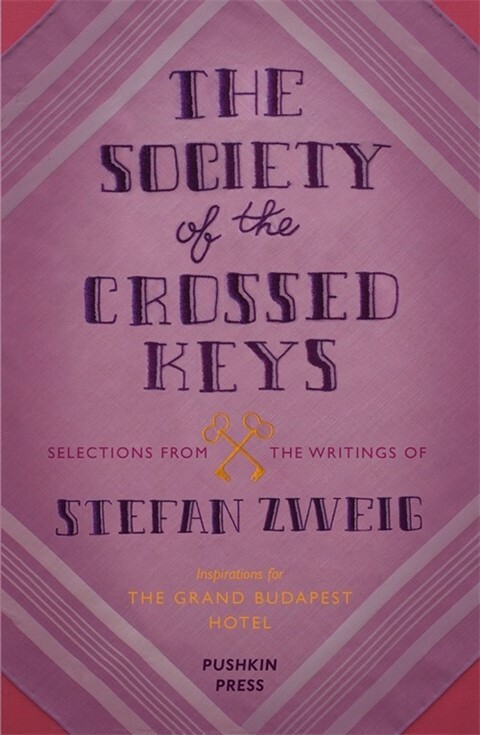 GP: I’m curious whether this quality of Zweig’s character resonates with the intriguing title you gave this collection, The Society of the Crossed Keys. WA: Well, that just refers to a little made-up secret guild of European hotel concierges in our movie. Many of the ideas expressed and/or explored in Grand Budapest we stole directly from Zweig’s own life and work; and then, also, maybe the membership of the Society itself might hint at hidden, secret corners of Zweig’s world which we are only now starting to pull back the curtains on. I had never heard of Zweig—or, if I had, only in the vaguest ways—until maybe six or seven years ago, something like that, when I just more or less by chance bought a copy of Beware of Pity. I loved this first book, and immediately there were dozens more in front of me that hadn’t been there before. They were all suddenly back in print. I also read the The Post Office Girl, which had been only published for the first time recently. The Grand Budapest Hotel has elements that were sort of stolen from both these books. Two characters in our story are vaguely meant to represent Zweig himself—our “Author” character, played by Tom Wilkinson, and the theoretically fictionalised version of himself, played by Jude Law. But, in fact, M. Gustave, the main character who is played by Ralph Fiennes, is modelled significantly on Zweig as well. You can see why for Zweig this turn of events would be the beginning of everything that became too much to bear. Not only because he was someone who had friends all over Europe and collected people actively—made friendships and made these connections and so on. He also collected manuscripts and books and musical scores, and he was gathering things from all over—among artists he admired. And eventually all this, plus his own work, was taken away, destroyed, made impossible for him to continue pursuing in that way. And when you read The World of Yesterday you just see how all the things he invested his life in, this world that he prefers to call the world of security, this life that had been growing more and more refined and free that’s so meaningful to him, is just obliterated. One thing I thought of along the way—just in how his own psychology is revealed through is work—one thing you do see all along with Zweig is these suicides. People commit suicide, people talk about suicide regularly all through his body of work, and it’s a bit eerie for us now. Whatever you read first, the one thing you do know—even the shortest bio on a dust jacket of Zweig tells you how it ends. And it’s something that really jumps out at you when you come across it, which isn’t so infrequent. GP: You really show that compellingly. You did an amazing job of revealing how parts of the fairy tale were real in the landscapes—and the hotels of course. WA: One thing we came across as we were trying to figure where to do this movie was a collection of images on the US Library of Congress website. There’s this thing, the Photochrom Collection. Two different companies—one Swiss and one American—had a sort of joint venture where they took black-and-white photographs all over the world, and then they colourised them and mass-produced them. And there are thousands of them. They’re from maybe 1895 to 1910, something like that, all over the Austro-Hungarian Empire, and Prussia, and all over the world. It’s wonderful, and it really influenced our movie. There’s a wonderful photochrom of the hotel that I always thought of as sort of the model for our hotel, which is the Hotel Pupp in Karlovy Vary, which was Carlsbad. The thing we learned when we visited all sorts of places that we found on this collection of pictures was that none of them were enough like what they once were to work for us. But the photochrom images seemed to tap into a truth about Zweig’s vision of the world that I was able to draw on in developing a visual aura for the film. In The Post Office Girl, Zweig’s description of the grand hotel in Switzerland is so evocative. The idea of that work being something that had been out of print for that long is sort of surreal.